Skip the 2,000-mile trek to Churchill Downs and watch the Kentucky Derby from a racetrack party in our own backyard. 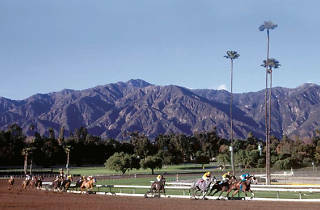 Santa Anita hosts this Derby Day celebration complete with a simulcast of the big race, a beer garden and a hat contest with $1,000 in cash prizes up for grabs. 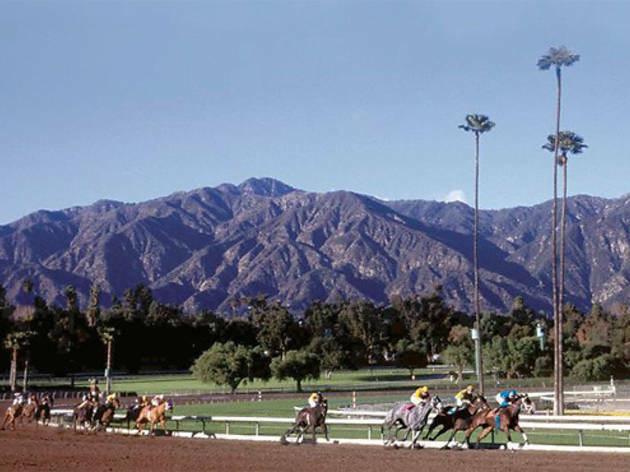 Cheer on Cal-bred horse and Santa Anita Derby winner California Chrome from three different sections, from a simple trackside seat to a package with access to a T-shirt, premium bar, double the drink tickets and delectable BBQ from Gus's in South Pasadena. Psst, milk those drink tickets for all they're worth with this half-price coupon.